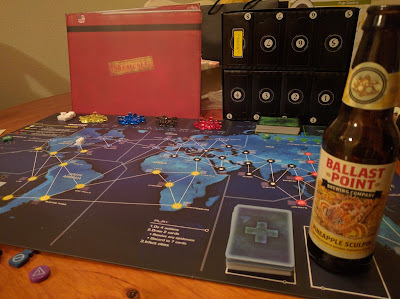 Why do beer & board games go so well together? 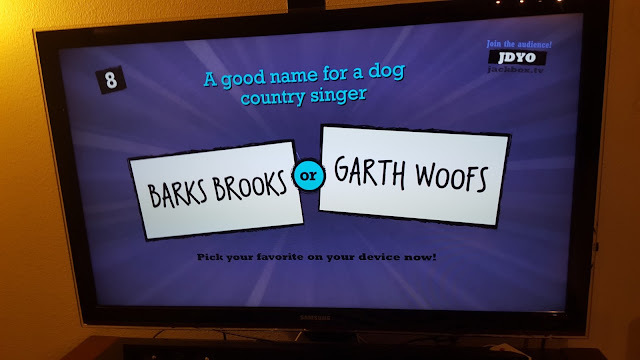 That's the million dollar question to ponder. In the meantime, let's check out a submarine adventure game called Deep Sea Adventure. This little game packs a lot in a small box. First, you try to get as much treasure as you can with disregard for your fellow teammates who are sharing the same oxygen tank you are! Does your quest for glory result in them running out of air and sinking to the bottom of the ocean? Sounds morbid, but if you add a flight of beer into the mix, it's the best Saturday afternoon you can have in today's world. But seriously, this is a great micro-game from Japan. The box it comes in is tiny, and it can support up to six players. In fact, the more players you play with, the crazier it is since you are all sharing the same tank and things escalate quickly. 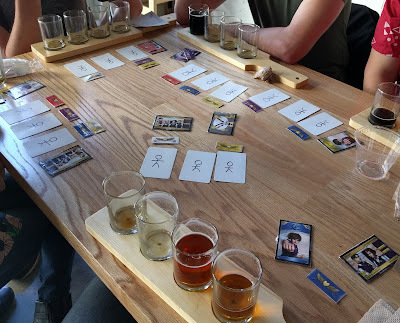 If you're looking for a fun, quick, push-your-luck game that is easily portal to breweries, get this! As for the flight, this comes from a new brewery in Los Angeles called Iron Triangle Brewing. The place is new and is still working out the kinks in their beer, but it's a fun venue to hang out at with your friends (normally has a food truck). 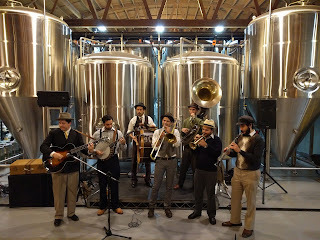 We went to their opening party, which was awesome and had a 1920s jazz band. 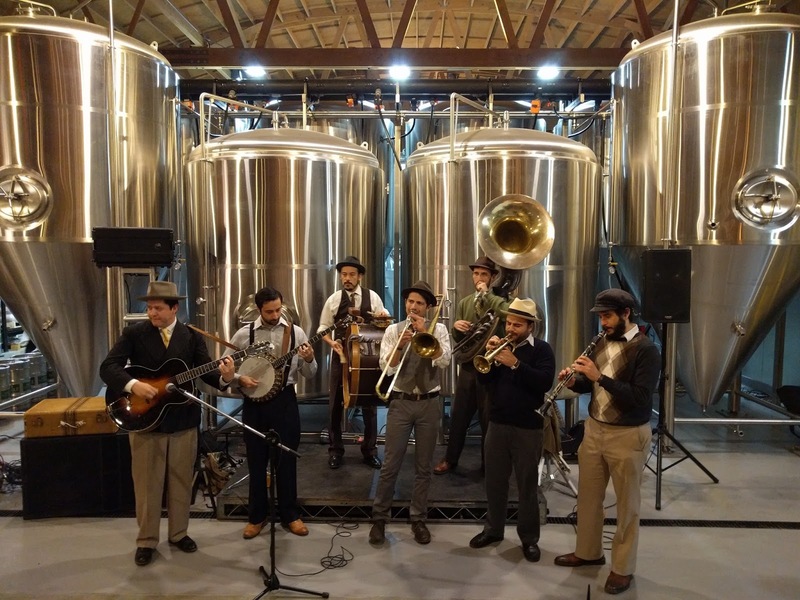 It's one of the cooler warehouse breweries to hang out at downtime, and recently they got a piano if you're into Billy Joel. 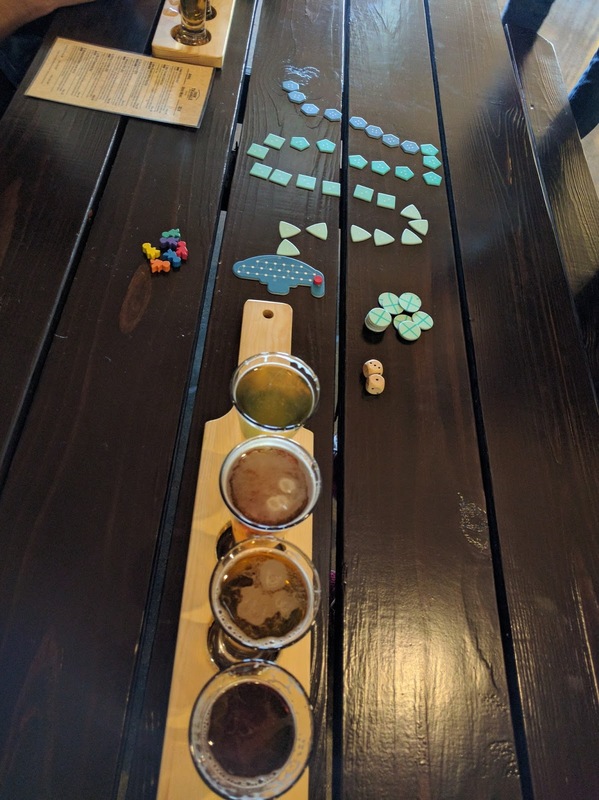 Grab this game, a flight, and call it a day!